Steven Mnuchin will not be the new Gary Cohn. The treasury secretary this week laid to rest any hope among Wall Streeters that he’ll backstop the departing economic adviser in battling the administration’s ascendant protectionists. Cohn announced his resignation Tuesday after refusing privately to endorse President Trump’s global tariffs on steel and aluminum imports. On Wednesday, Mnuchin continued a series of public appearances to defend them. Mnuchin and Cohn are often discussed as a pair — Larry Kudlow, an outside economic adviser to Trump named as a possible Cohn successor, this week described them as the “two pillars” of the president’s fiscal team — and it’s easy to see why: They’re both Goldman Sachs alums with Democratic leanings making their first forays into public service for a president who ran against what they exemplify. But whereas Cohn sometimes brashly challenged the president behind closed doors, Mnuchin has proved more inclined to get along. Of the proposed tariffs denounced by economists at Goldman Sachs and beyond, an array of CEOs and congressional Republicans, Mnuchin told Fox Business Network in a Wednesday interview: “It's just part of the overall economic plan. So we're comfortable with the economic impact, and we're going to be careful.” The president is “not afraid to get into a trade war although that’s not what we want,” Mnuchin said. “Let’s be very clear. We’re not looking to get into trade wars.” He said it won't derail the administration's aim of achieving 3 percent economic growth. Late last year, as trade hawks in the administration started pressing their case for imposing punishing tariffs, Mnuchin reportedly joined Cohn in arguing to Trump the move could spook investors and sap momentum from the tax cuts. But Mnuchin evidently didn’t press the point as far as Cohn — an echo of how the two men diverged over Trump’s equivocating after the white supremacist violence in Charlottesville last August. Cohn has received a fresh heaping of scorn from critics this week for drawing his line, finally, at tariffs, rather than quitting back then. But while Mnuchin defended Trump, Cohn drafted a resignation letter and publicly criticized Trump, probably tanking his shot at chairing the Fed. "Gary's been a terrific partner," Mnuchin told Bloomberg's Kevin Cirilli in a Wednesday interview. "Gary was very important in many things that we did here. But there's a big economic team here." But in a norm-shredding presidency, the only reason others haven’t more regularly followed Cohn’s lead is that Trump doesn’t want to be challenged. Before he quit this week, Cohn had been trying to arrange a Thursday meeting for Trump to hear from business leaders opposed to the higher metals prices and barriers to their exports — a cohort that economists agree is much larger than the steel and aluminum interests that stand to benefit. The president blocked it. Instead, he’s aiming to roll out the tariffs as soon as this afternoon at a White House event set to feature steel and aluminum workers. Trump’s trade advisers are already well acquainted with the industry: Commerce Secretary Wilbur Ross made a killing investing in steel companies; Gil Kaplan, Trump’s pick to serve as undersecretary for international trade at Commerce, is a former steel industry lobbyist; U.S. Trade Representative Robert Lighthizer represented U.S. Steel in a number of trade disputes as a lawyer in private practice before joining the Trump administration, as did his general counsel, chief of staff, and deputy chief of staff, all of whom worked at the same firm. Meanwhile, inside the West Wing, Cohn's departure is stoking fears of an even faster staff exodus. "Multiple aides who are considering departing, all speaking on condition of anonymity to discuss internal matters, said they didn’t have a clue about whom the administration could find to fill their roles. They said their desire to be team players has kept them on the job longer than planned," AP's Zeke Miller and Jonathan Lemire report. "A number of other aides have expressed worry about the legal implications — and steep bills — they could face if ensnared in Mueller’s probe. It has had a chilling effect on an already sluggish White House hiring process, according to officials, and there is wide concern that working for Trump could negatively affect career prospects." Indeed, Ivan Adler, a Washington headhunter, tells me though administration aides with deep policy expertise are still in demand, the miasma hanging over the White House is making it difficult for some to find their next gig. "Due to the degree that this administration is being investigated by special prosecutors, by the media, by congressional committees, it’s amped up the perception of a reputational risk," he said. "There hasn’t been this much negative reaction to people in the administration since Nixon." Employers across the U.S. said wage growth picked up since the beginning of the year, according to a Federal Reserve report released Wednesday, signaling the tight labor market may be forcing employers to beef up paychecks to compete for workers. — EU counter-threatens. NYT's Milan Schreuer: "European Union officials unveiled an array of tariffs on Wednesday that they would place on American-made goods if the United States followed through on President Trump’s plan to impose penalties on imported steel and aluminum, raising the specter of a trade war... A provisional list of items being targeted ranges from steel to T-shirts, also including bed linen, chewing tobacco, cranberries and orange juice, among other products. The overall size of the business affected is relatively small, worth about 2.8 billion euros, or $3.5 billion, in imports, paling in comparison with the nearly €250 billion of goods the 28-nation bloc bought from the United States in 2016." — Pence to the rescue? Politico's Matthew Nussbaum and Eliana Johnson: "In public, Vice President Mike Pence is loudly praising his boss’ proposed tariffs on steel and aluminum — while gently urging him to scale back the policy behind the scenes... Pence, according to more than a half-dozen White House and Capitol Hill aides, has been quietly delivering messages to the president from Republicans on the Hill, who have publicly opposed the tariffs plan set to be announced as early as Thursday — though he’s made sure to maintain a studiously neutral position, to the frustration of some who had hoped he would do more to exert influence over Trump." — Freedom Caucus weighs in. The Post's Bob Costa and Josh Dawsey: "In recent days, the House Freedom Caucus, an influential bloc of hard-line conservatives in the House, has been privately urging Trump to back off his proposed tariffs on steel and aluminum, creating an even bigger schism between the White House and Congress on the president’s signature issue ahead of this year’s midterm elections, said three people briefed on those talks who were not authorized to speak publicly. Rep. Mark Meadows (R-N.C.), the chairman of the Freedom Caucus and one of Trump’s most trusted allies in Congress, has spoken with the president multiple times during the past week and relayed the group’s staunch opposition to the president’s trade stances." — Trade deficit widens. Reuters's Lucia Mutikani: "The U.S. trade deficit increased to a more than nine-year high in January, with the shortfall with China widening sharply, suggesting that... Trump’s 'America First' trade policies aimed at eradicating the deficit will likely fail. The trade gap continues to widen a year into the Trump presidency... The Commerce Department said on Wednesday the trade deficit jumped 5.0 percent to $56.6 billion. That was the highest level since October 2008 and exceeded economists’ expectations of an increase to $55.1 billion. Part of the rise in the trade gap in January reflected higher commodity prices." As Trump challenges China. Reuters: "Trump said on Wednesday that China has been asked to develop a plan to reduce its trade surplus with the United States, without giving any details on how such a request had been conveyed. 'China has been asked to develop a plan for the year of a One Billion Dollar reduction in their massive Trade Deficit with the United States,' Trump wrote in a post on Twitter, mistakenly referring to a deficit where Beijing runs a surplus." — Navarro: Not replacing Cohn. Washington Examiner's Joseph Lawler: "Peter Navarro, the White House economic adviser renowned for his protectionist views on trade with China, said Wednesday that he is not a candidate to replace... Cohn...Trump has a long list of potential replacements for Cohn, Navarro said on Bloomberg TV, but he is not on it. 'I'm not on that list, let me be clear,' he said." — Seychelles meeting probed. The Post's Sari Horwitz and Devlin Barrett: "Special counsel Robert S. Mueller III has gathered evidence that a secret meeting in Seychelles just before the inauguration of Donald Trump was an effort to establish a back channel between the incoming administration and the Kremlin — apparently contradicting statements made to lawmakers by one of its participants, according to people familiar with the matter. In January 2017, Erik Prince, the founder of the private security company Blackwater, met with a Russian official close to Russian President Vladi­mir Putin and later described the meeting to congressional investigators as a chance encounter that was not a planned discussion of U.S.-Russia relations." — Trump quizzed staff on Mueller interviews. NYT's Michael Schmidt and Maggie Haberman: "The special counsel in the Russia investigation has learned of two conversations in recent months in which... Trump asked key witnesses about matters they discussed with investigators, according to three people familiar with the encounters. In one episode, the president told an aide that the White House counsel, Donald F. McGahn II, should issue a statement denying a New York Times article in January. The article said Mr. McGahn told investigators that the president once asked him to fire the special counsel, Robert S. Mueller III. Mr. McGahn never released a statement and later had to remind the president that he had indeed asked Mr. McGahn to see that Mr. Mueller was dismissed, the people said." — Kushner risk. 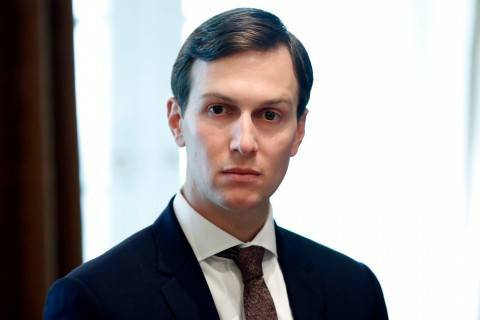 The Post's Karoun Demirjian: "The officials who run the federal government’s background check system told senators Wednesday that they would find it difficult to approve a permanent security clearance for someone who failed to disclose 'significant financial entanglements with a foreign adversary,' as the president’s son-in-law Jared Kushner is alleged to have done... Officials in at least four countries, according to current and former U.S. officials familiar with intelligence reports on the matter, have discussed how they might be able to manipulate Kushner by leveraging his foreign business ties — many of which he failed to initially disclose on his security clearance forms." Public fights with Mexico, vows to end relations with Cuba and a high-profile exit from a trade deal have signaled a sharp change in America’s approach in the region. 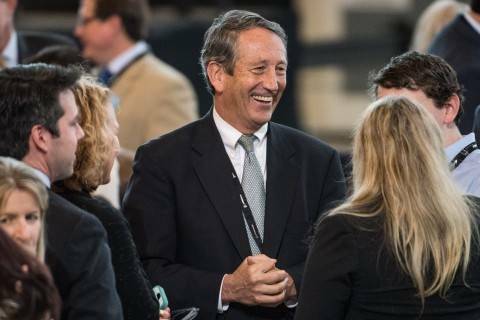 Sanford's decision to speak out could be seen as surprising, given his personal history. 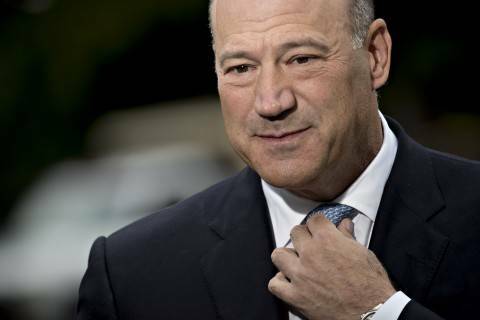 Gary Cohn is leaving the White House after losing an internal battle over putting big tariffs on steel and aluminum imports. Wall Street executives are upset he’s on his way out and wondering what he’ll do next. Bloomberg News spoke to business leaders about where they think the former Goldman Sachs Group Inc. president could land. — Foreign banks cut out of deregulation bill. Reuters's Pete Schroeder: "Foreign banks have been excluded from a key provision relaxing oversight of small and mid-sized lenders under a modified version of a U.S. Senate bill that aims to ease rules introduced following the 2007-2009 global financial crisis. 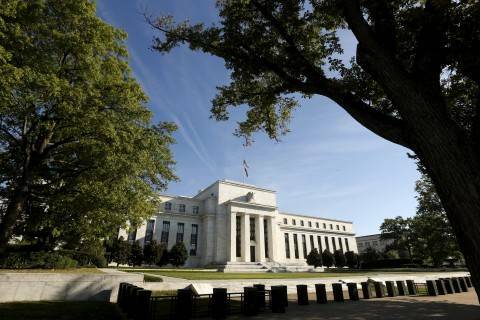 The amended version of the bill, released on Wednesday, includes a new section that explicitly preserves the Federal Reserve’s ability to strictly regulate the U.S. operations of large foreign banks like Deutsche Bank and Banco Santander alongside the country’s largest institutions. The last-minute change will likely fuel discontent among foreign banks operating in the United States, which have long complained they are not given equal treatment to their domestic peers in regulatory matters." — House Rs come around. The Hill's Sylvan Lane: "House Republicans are warming up to a Senate bill that would loosen the banking rules put in place after the financial crisis. The Senate is poised this week to pass the most significant changes to the Dodd-Frank Act since it became law in 2010. The bill has the support of more than a dozen Democrats, making it one of the few measures with a chance to become law this year. With the GOP searching for accomplishments to tout ahead of the midterm elections, House conservatives who once derided the Senate bill are taking a second look, suggesting they may be open to compromise. 'I want to do what’s good for Main Street. I’m a dealmaker, so maybe not everything’s in it, but maybe there’s something that we can be happy with in it,' said Rep. Roger Williams (R-Texas). 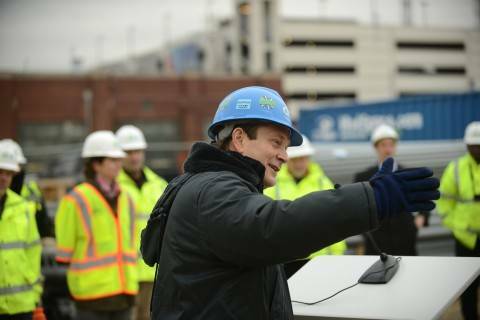 He had called the Senate’s plan a 'non-starter' in December." N.Y. Fed: TBTF not over. Bloomberg's Yalman Onaran: "Even as Congress and the Trump administration move to ease post-crisis banking rules they say have gone too far, there’s still evidence a central problem of the last crisis hasn’t been fixed. 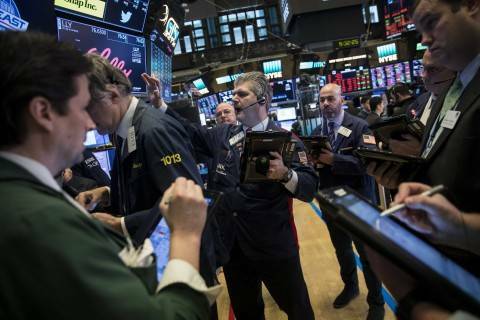 Despite the slew of regulations that were supposed to eliminate the need for government bailouts of the largest financial institutions, investors don’t seem to believe they will work come next crisis, according to a new study released this week by the Federal Reserve Bank of New York. The study found that the spread between the borrowing costs of the parent companies and their banking subsidiaries hasn’t widened as they should have since new regulations put the creditors to the parent on the hook for the failure of a big bank. The same held true when looking at default insurance, the New York Fed found. The authors looked at the bond yields and credit default swaps of the four largest banks." — Dems pitch infrastructure. WSJ's Richard Rubin: "Senate Democrats on Wednesday proposed repealing major pieces of the just-passed tax law, in a plan that would raise taxes on corporations, estates and high-income households to pay for $1 trillion in new infrastructure spending. The plan will almost certainly go nowhere with Republicans in charge of Congress and the White House. But it provides a first clear signal about Democratic priorities on tax policy after the passage of the Tax Cuts and Jobs Act, and establishes a clear contrast for the 2018 midterm elections. The proposal would set the corporate tax rate at 25%, up from today’s 21% but still well below the 35% that was in place until President Donald Trump signed the new tax law in December." Businesses urge gax tax hike. Bloomberg: "The largest U.S. business lobby and the trucking industry joined forces to urge skeptical lawmakers to increase federal fuel taxes for the first time in a quarter century to raise money for crumbling roads and bridges. The U.S. Chamber of Commerce and the American Trucking Associations put their proposals for higher gas levies before a House Transportation and Infrastructure subcommittee hearing Wednesday exploring long-term funding for highways and transit, saying the cost of inaction is greater." — Icahn responds. 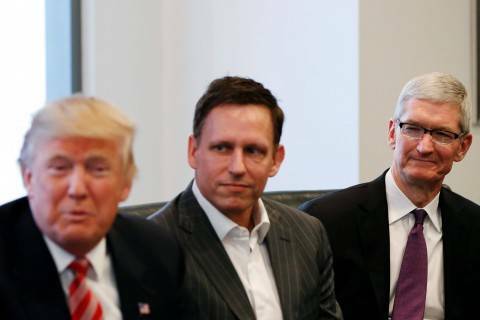 Politico's Patrick Temple-West: "Billionaire investor Carl Icahn, a friend of ... Trump, denied Wednesday having any prior information about the administration's tariff announcement last week that might have prompted him to sell shares in a company affected by the news. In a brief statement on his website, Icahn said, 'Any suggestion that we had prior knowledge of the Trump administration's announcement of new tariffs on steel imports is categorically untrue.' In February, Icahn's funds sold millions of dollars of shares in The Manitowoc Co., one of the world's largest manufacturers of cranes. On March 1, the day Trump announced steel and aluminum tariffs, the Wisconsin-based company's shares dropped about 6 percent. 'We reduced our position in Manitowoc for legitimate investment reasons having nothing to do with that announcement,' Icahn said in his statement, without elaborating." — Wells Fargun. Bloomberg's Shahien Nasiripour and co.: "Wells Fargo & Co. has emerged as the preferred financier for the U.S. gun industry. The bank has helped two of the biggest U.S. firearm and ammunition companies access $431.1 million in loans and bonds since December 2012, when the gun control debate gained steam after the school shooting in Newtown, Connecticut, according to data compiled by Bloomberg. That puts it on the top of the list of banks arranging funding for gunmakers. Wells Fargo also has a long relationship with the National Rifle Association, inherited from banks that Wells took over. The San Francisco-based Wells Fargo created a $28 million line of credit for the NRA and operates the primary accounts for the pro-Second Amendment group, financial documents show." 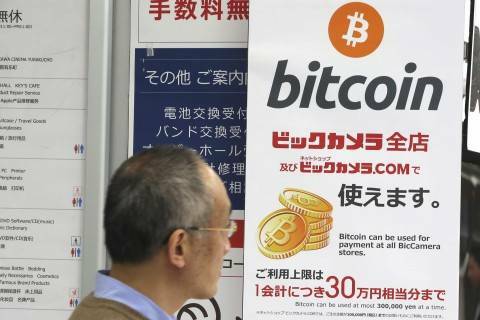 Bitcoin fell to a 1-1/2 week low on Wednesday after the U.S. Securities and Exchange Commission warned of "potentially unlawful" systems that trade crypto-currencies, which investors may use with an unearned sense of safety. Politico holds an event on the Future of Prosperity. SEC Investor Advisory Committee holds its quarterly meeting.